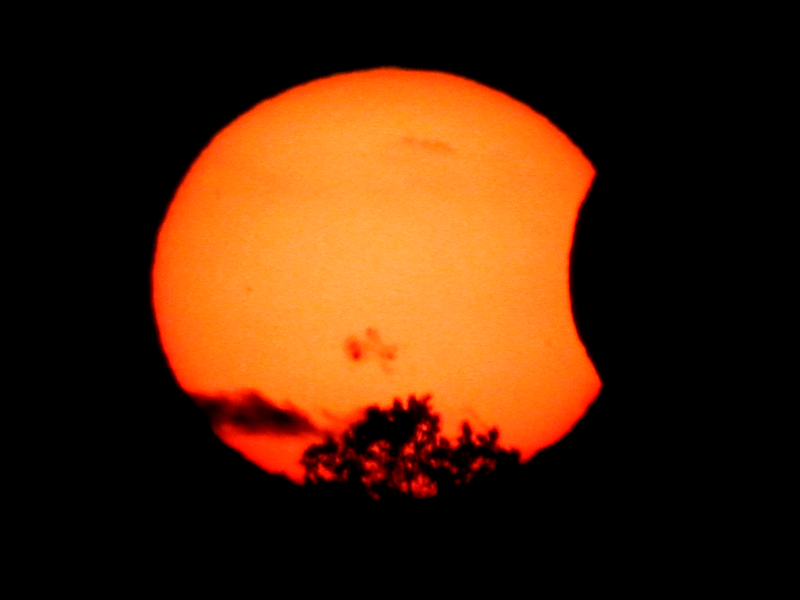 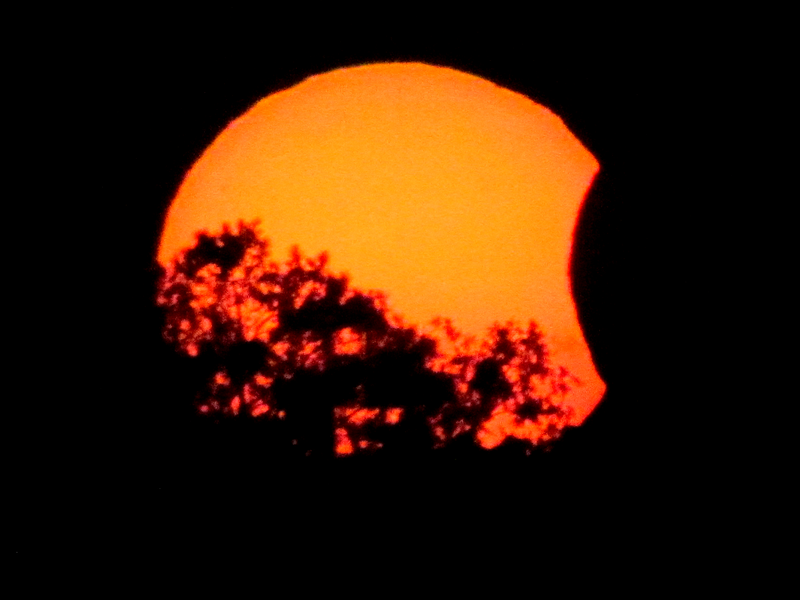 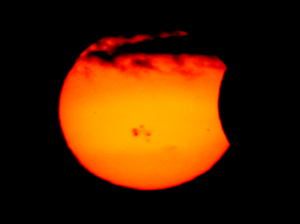 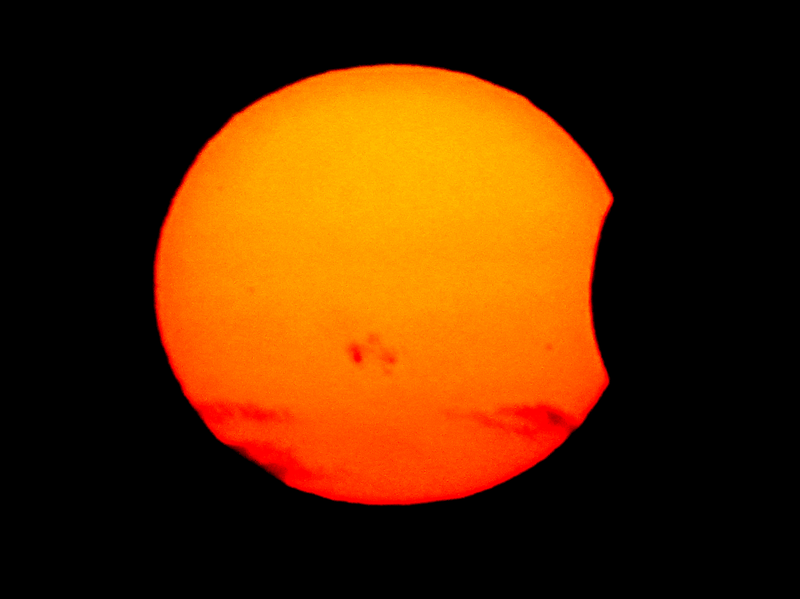 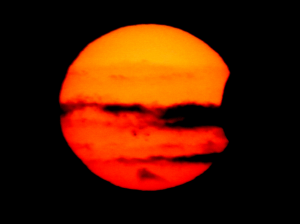 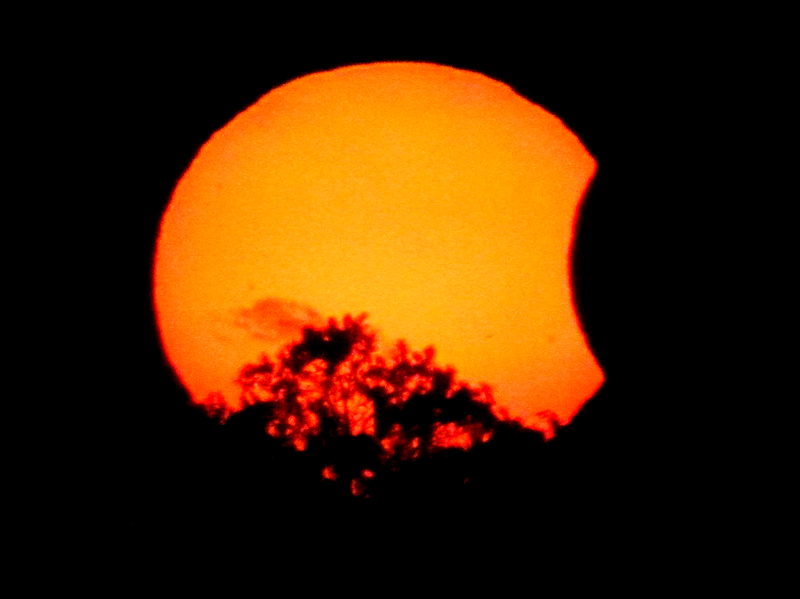 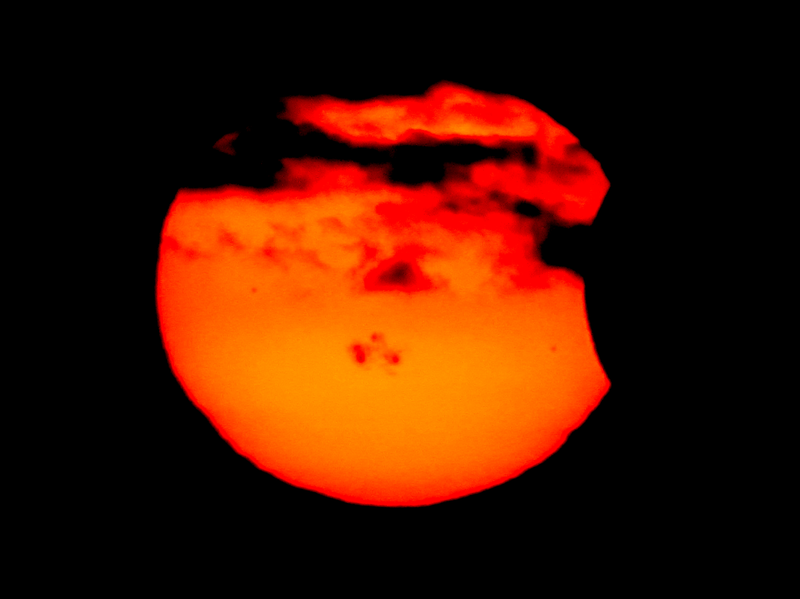 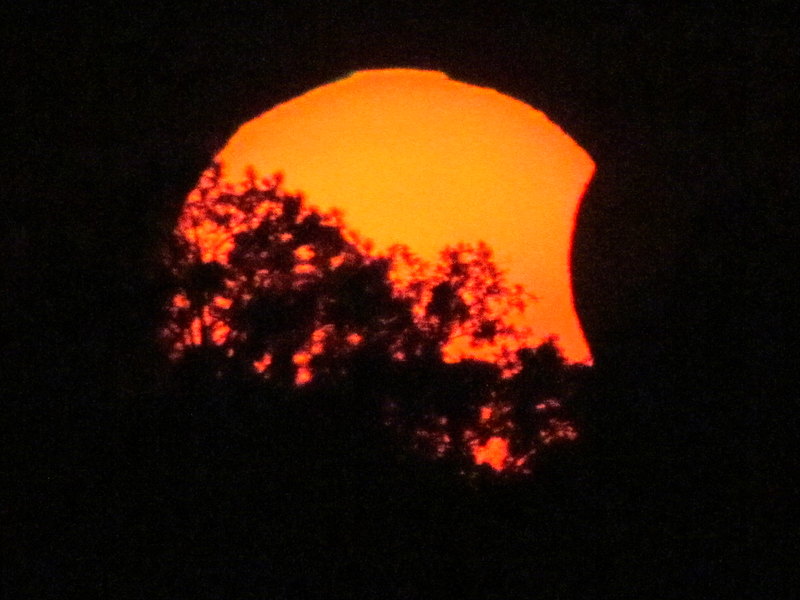 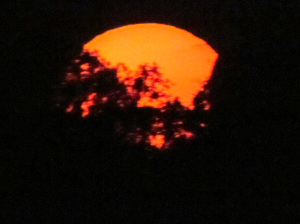 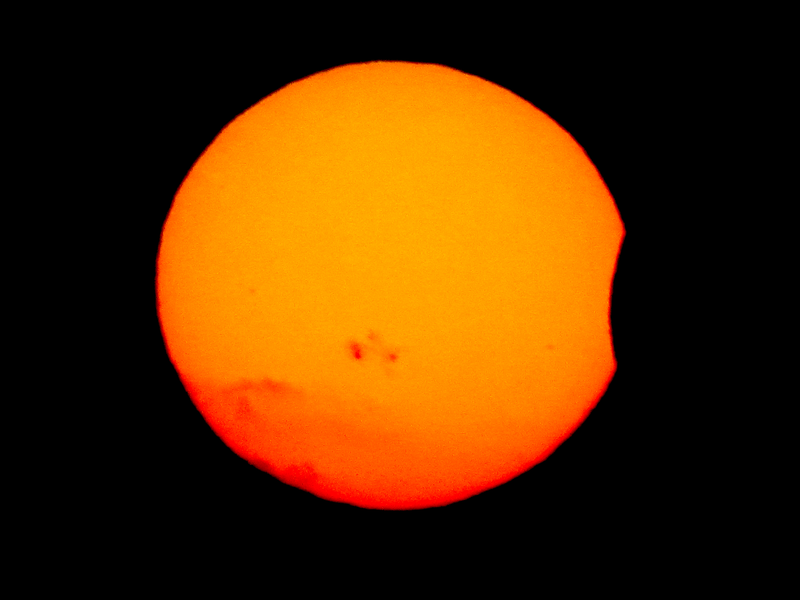 The sunset yesterday looked a little different in most parts of the United States; the sun was seen partially eclipsed by the moon before the night fell. 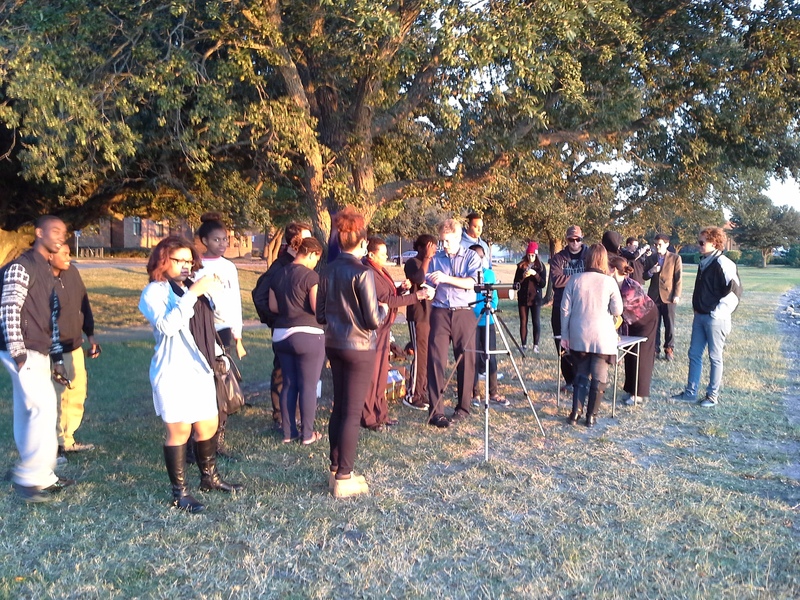 During this rare event, Hampton University’s planetary science professors Dr. William B. Moore and Dr. Kunio M. Sayanagi hosted a special event on the waterfront lawn on Hampton University campus. As the eclipse started around 6pm, they lined up three solar-viewing telescopes and made them available for the campus community to enjoy the spectacle created by this astronomical alignment. The weather cooperated beautifully for the event; a few puffs of passing clouds added a bit of suspense by obscuring the sun during a few brief moments, but those members of the campus community who attended the event were able to enjoy the view right up to the moment sun sat below the horizon. 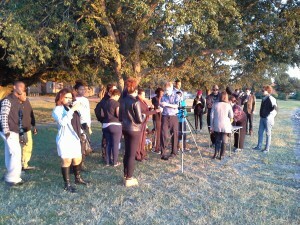 About 25 members of the campus community (undergraduate and graduate students as well as faculty) attended the event on the waterfront lawn. If you missed the event, you can still enjoy it through the photographs captured by Professor Sayanagi below.